This is the most amazing gluten free cake mix you will ever come across. It's not only moist, but you can easily make it into any flavor (Vanilla, Chocolate, Lemon, Spice, Carrot, Marble, Chili Chocolate, Mocha, Red Velvet, etc) with a few added ingredients. 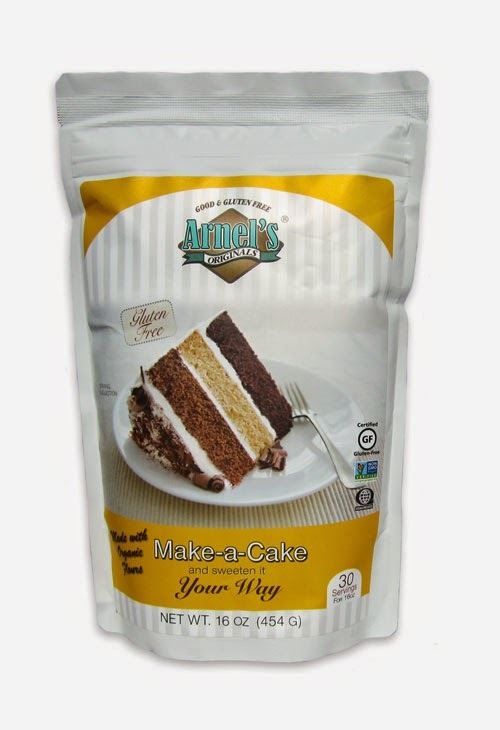 SWEETENING SUGGESTIONS Did you know that most cake mixes are 50% sugar & 50% flour? Because this mix contains no sweetener, when a sweetener is added to this one pound mix, it becomes 2 pounds of dry mix and can make a large 2 layer cake. In case cane sugar does not agree with you, you have other alternatives. Below are some guidelines about the behaviors of granulated sweeteners (cane sugar, date sugar, maple sugar, etc) liquid sweeteners (agave, honey, maple syrup, etc.) and non-caloric sweeteners (Turvia, Splenda, Xylitol). I've also included some easy wholesome filling ideas for between the two cake layers. Ingredients: Brown Rice Flour, Tapioca Flour, Cassava Flour, Baking Soda, Sea Salt, Xanthan Gum. Before we begin, notice that the package contains 16 oz. of flour and calls for 4 eggs. Therefore it can make a large 2 layer cake or you can easily divide this mix into 4 parts and make 4 different cakes (6" round or 5" x 6" rectangular cakes.) The entire package can make a total of 30 - 32 cupcakes. The chocolate cake makes a bit more. Beat wet ingredients for one minute and add to the dry. Beat everything together for one more minute. Pour batter into cake pans and bake...30 to 35 minutes (chocolate cake needs 40 minutes) or scoop batter into muffin tins and bake for 20 minutes or until toothpick comes out clean. Cool completely before filling or frosting. Cook over low heat, stirring constantly until thickened. Don't Boil! chocolate you'd put in a chocolate cake. Since I don't use artificial colorings, I tried making it with pomegranate juice and natural beet color. The flavor was delicious but it didn't retain its red color once baked. 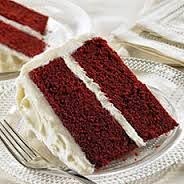 For that reason I have renamed this cake, VELVET CAKE minus the RED) The photo, however, does use artificial red food coloring. 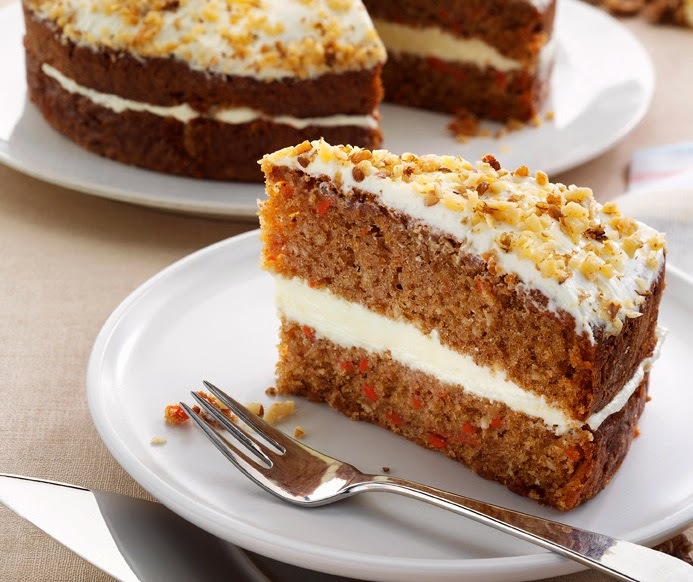 Here are a few quick/easy fillings you can use between the layers of your cake. Fresh Fruit - 1 cup of mashed or finely chopped fruit (berries, mango, banana, etc.) + 1 Tablespoon agave syrup + 1 Tablespoon non dairy gluten free margarine (like Earth Balance) or coconut oil + a dash of sea salt to taste. Jelly or Jam - There are deliciously natural jellies and jams that can be used right out of the jar. Cane sugar does more than just sweeten. It helps baked goods rise with the perfect amount of air, obtain that beautiful golden crispness, and retain its moisture. Nothing else quite compares but if you are one of those people who do not handle cane sugar well, there are good alternatives but knowing how each sweetener behaves is paramount to a successful cake. Although I have given you some general guidelines, I encourage you to do your own experimentation, and try combining cane sugar with no more than half of other sweeteners to get the benefits of both. Generally speaking, test with a toothpick about 5 to 10 minutes before the listed time for doneness. In any event, here's the low-down on granulated sweeteners, liquid sweeteners, and non-caloric sweeteners. Coconut Sugar -High in nutrients, melts easily in liquids, and has a low glycemic index (about half of what cane sugar has.) With that said, it tends to dry out your cake and adds a strong flavor of its own to your baked goods. Substitute 1 cup coconut sugar for 1 cup cane sugar. Honey - Honey is very acidic and when cooked, it burns easily so lower the temperature to 325º and cook for about 40 minutes. Use 3/4 cup honey instead of 1 cup cane sugar and reduce the milk by 1/4 cup. Maple syrup - use 3/4cup maple syrup + 1/4 teaspoon baking soda to substitute for 1 cup cane sugar. Reduce milk by 1/4 cup. Baked goods will be denser and have a pronounced maple flavor. Reduce heat to 325º and bake 40 minutes. Agave Syrup - Agave is a liquid sweetener from the cactus plant and has a low glycemic index (about half of what cane sugar has.) 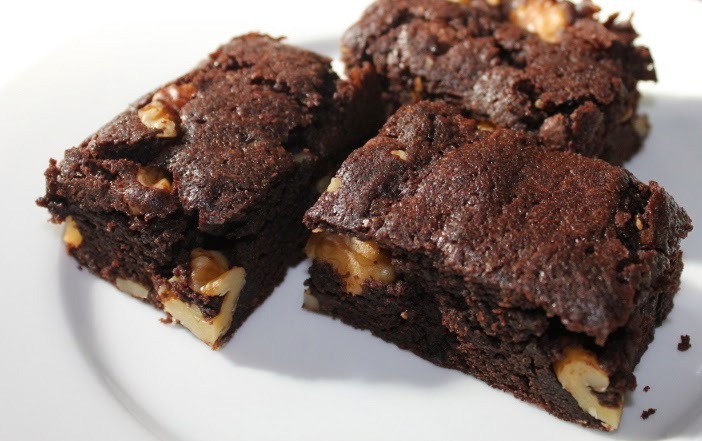 The best property of this sweetener, however, is that it helps baked goods brown, and retain its moisture. It is sweeter than cane sugar so you can use 2/3 cup agave to 1 cup sugar. Lower temperature to 325º, cook a bit longer (40 minutes) and reduce milk by 1/4 cup. Stevia - Most people agree that stevia, although very natural, has an strong unpleasant after taste. None the less I baked a chocolate cake with it. It turned out dry, dense, and worst of all, not sweet. Although it is the most "natural" sweetening substitute in this category, it didn't work well in baked goods. Sugar Alcohols - (Xylitol, Maltitol, Mannitol, Sorbitol, Erythitol) Although these have no strong after tastes, these sugar substitutes tend to ferment in the intestines and cause bloating, gas, or diarrhea. If you are one of the people who have no adverse reactions to sugar alcohols, this is a great alternative. 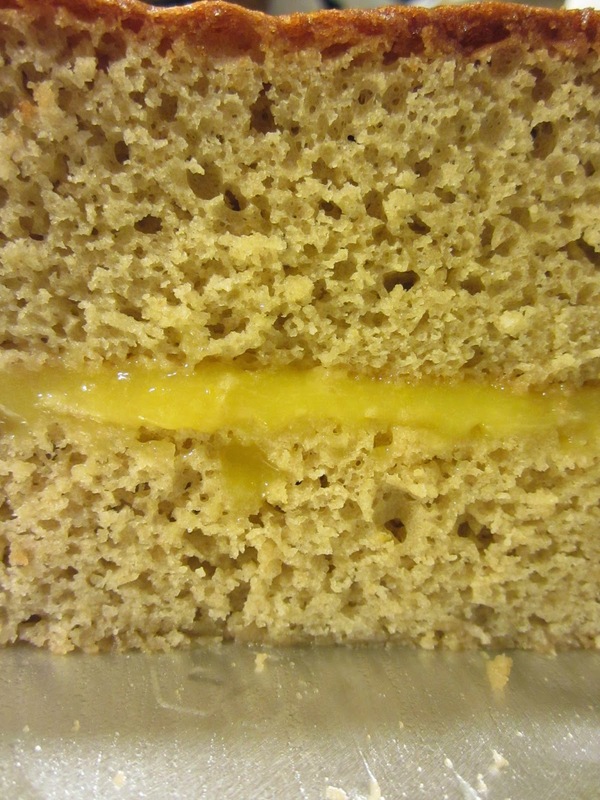 I've baked these cakes with XYLITOL and had excellent results. If you use these, you probably know which ones loose their sweetness when cooked, and which ones have more of a tendency to cause cancer. Before you resort to the artificial sweeteners in this category, I'd suggest you use a combination of agave syrup and coconut sugar, which both have a relatively low glycemic index.